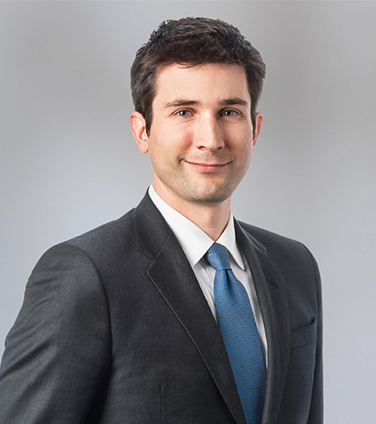 Julien is a partner practicing in Osler’s Pensions & Benefits group and the Employment and Labour group from our Montreal office. Julien has extensive expertise advising employers, pension fund administrators and service providers on issues such as pension plan governance and design, de-risking strategies, pension investments, plan mergers, plan conversions, use of surplus assets, administration expenses and retiree benefits matters. He also assists them in their representations before regulatory authorities, administrative tribunals and courts. Julien also advises employers on a broad range of employment-related issues including executive compensation, employee hiring and terminations, employment standards compliance, and the development of human resources policies. Julien has significant experience in advising clients on pension and employment issues arising in connection with various corporate events including acquisitions, divestitures, mergers, insolvencies and corporate reorganizations. Julien is recognized as a Next Generation Lawyer in the area of Pensions of the Legal 500, 2018 and is repeatedly recommended in the area of Pensions & Employee Benefits – Employer in The Canadian Legal Lexpert Directory, 2017. BCE Inc., IBM Canada Limited, the Canadian Broadcasting Corporation, Aviva Canada Inc., Axiall Corporation, Montreal Police Pension Fund and others, on matters of plan administration and governance and on the compliance of their plans with the applicable pension legislation. Vivendi Canada Inc. in a class action concerning a post-retirement benefits reduction (including a hearing before the Supreme Court of Canada). IBM Canada Limited in a class action relating to amendments made to the pension and post-retirement benefit plans. École polytechnique de Montréal in class actions relating to amendments made to its pension plan. Trustees of the pension fund of the University of Montreal Pension Plan in a class action relating to pension plan investments. Association de bienfaisance et de retraite des policiers et policières de la Ville de Montréal, in relation to the two actions regarding the constitutionality of Bill 15 (reform of municipal pension plans) and its application to the police pension plan. Pension Committee of the Concordia University pension plan, in relation to a litigation regarding certain administrative expenses. Secretary of the board of trustees of a registered defined benefit pension plan. Canadian and international companies in connection with plan wind ups and the sharing of surplus assets. Canadian and international companies on asset transfer issues and plan conversions from defined benefits to defined contributions. Canadian and international companies in connection with the merger of their various Canadian pension plans and their representations to the regulatory authorities in that respect. Canadian and international companies in the establishment and funding of supplementary executive pension plans (SERPs). Opinions relating to complex trust issues and the use of surplus assets. Legal advisor to the Quebec Employers Council (Conseil du patronat du Québec) in connection with the working group on the funding and restructuring of private sector pension plans. Chambers Canada: Canada's Leading Lawyers for Business, 2019: Up and Coming, Pensions & Benefits. The Canadian Legal Lexpert Directory, 2017-2018: Repeatedly Recommended, Pensions & Employee Benefits – Employer. The Legal 500, 2019: Next Generation Lawyer, Pensions and Benefits. The Legal 500, 2018: Next Generation Lawyer, Pensions. Le régime à prestation cible : la solution incontournable? Canadian Pension and Benefits Institute. L’encadrement des régimes CD : maintenir le statu quo ou réglementer ?, a conference of the Association of Canadian Pension Management regarding the legal environment for defined contribution plans, April 2016. Change in the Legal Landscape, a conference at the ACPM national conference in Kelowna, September 2015. La priorité incertaine des régimes de retraite, a conference regarding issues arising on the insolvency of a plan sponsor, May 2015. Pension Fund Investments and Related Fiduciary Issues From a Québec Perspective, published in Employee Benefits in Canada, International Foundation of Employee Benefit Plans. Panel discussion with experts of the insurance industry regarding litigation trends in fiduciary liability, Professional Liability Underwriting Society. Attention au décaissement, an article regarding issues relating to decumulation options under defined contribution plans, Avantages magazine, February 2015. Dois-je vraiment conserver tous ces documents?, an article regarding the importance of record retention, Avantages magazine, June 2014. Indalex: What Impact has the Supreme Court of Canada’s Decision had on Pension Plans?, webinar organized by the Canadian Pension and Benefits Institute (CPBI). Pension Governance Course of the College of Corporate Directors (Collège des administrateurs de sociétés), May 2013 and May 2014. An Overview of the Canadian Pension Regulatory System; an article published in the Journal of the International Pension and Employee Benefits Lawyers Association, 2014. Panel discussion with Jim Leech (CEO of Teachers) and other experts regarding Canada's pension crisis and the need for innovative solutions, November 2013. The Powers and Duties of Pension Board Members, a presentation on the role and fiduciary duties of a pension plan administrator, Osler seminar, March 25, 2013. La gestion du risque relié aux régimes de retraite, a presentation on pension de-risking strategies, Osler seminar, October 30, 2012. Le régime à prestation cible : une solution incontournable? ; a presentation on target benefit plans, conference of the Association of Canadian Pension Management, December 2, 2011. Agreement Respecting Multi-Jurisdictional Pension Plans in Effect for Certain Ontario and Québec Plans; article published in the Taxation of Executive Compensation and Retirement Journal, August 2011. Déficit actuariels des régimes de retraite et augmentation des coûts liés aux avantages sociaux, an article on recent developments in pension and post-retirement benefits law published in Développements récents en droit du travail 2011, volume 333, Service de la formation continue du Barreau du Québec. Insaisissabilité des régimes de retraite et du CÉLI et partage du patrimoine familial: qu’en est-il ?, a presentation on seizure of pension benefits and division of pensions on marriage breakdown, conference of the Association de planification fiscale et financière (APFF), November 26, 2009. Do I really have to hold onto all of these documents? Restructuring Pensions in Quebec’s Municipal Sector: Hints of Private Sector Reform to Come?